It's the 12 Days of Christmas promotion with Hachette Book Group, and I'm excited to be a part of it today. I get to tell you about the Jesus Daily devotional book and then host a giveaway! 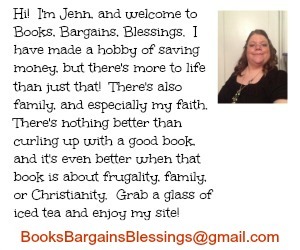 This item would make a great gift to yourself or someone who is a Christian who really enjoys Facebook! 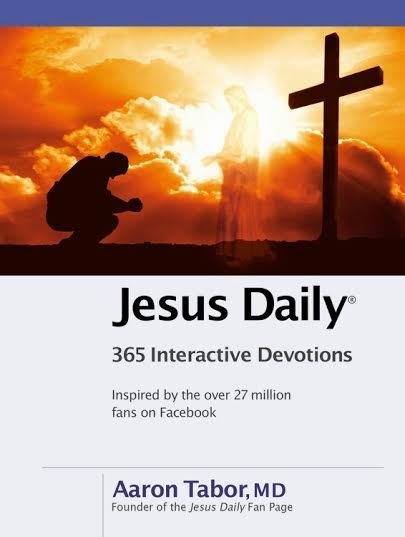 The Jesus Daily: 365 Interactive Devotions is a new twist on devotionals. It is inspired by the 27 million fans on Facebook, and this book gives you a devotional in book form and an idea on how to take your faith on the Web and social media for each day of the year! What a fantastic idea to help combine private devotions and reaching out to others via the web. I've heard things about how faith doesn't really extend to social media. While overpowering others with the Gospel is not always the best way to go, gently reminding others of God's love can make a huge difference in their lives. I'm excited to see a devotional that integrates our personal walk with God to reaching out to others. We live in such a cyber connected world, I'm happy to see this great resource being utilized. I have some Facebook friends that offer to pray for people every week. They have a day they have designated as a prayer day and post something like "How can I pray for you today?" While you can message them anytime, sometimes I don't think to ask my Facebook friends for prayer. Or sometimes it doesn't seem like "that big of a deal" to post a status update about it -- so this is a great way to know that someone is praying for you, and I admire their commitment to do this every week. Other Christians I know call Facebook a waste of time. I see it as a tool that can be used either way. For giveaway I have one copy of the Jesus Daily devotional and a t-shirt for one lucky reader who is 18 or older and lives in the United States. This giveaway will run until December 12th. Winner has 48 hours to e-mail me or a new winner will be chosen. FTC disclaimer: In exchange for this post i received a copy of the Jesus Daily devotional and one to give to a friend. One of my favorite traditions is that we have steak on Christmas Eve! Growing up that was the only time of year my dad had steak. So he carries on that tradition for us, too.